Browse our enhancements. Our selection of Party Enhancements will help take your event to the next level! Pricing listed is for a single Main Entrée selection and includes 1 Side Course, 1 Salad Course, and 2 Vegetable Courses. There is a minimum increase of $6.00 per guest for each additional Main Entrée option. Pricing listed is for a single Main Entrée selection and includes 1 Side Course, 1 Salad additional Main Entrée option. Espresso Bars, Fruit Trees, Ice Sculptures and more! 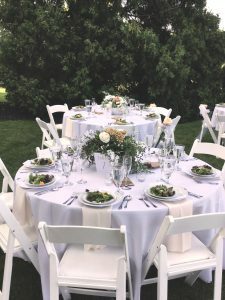 Searching for that certain je ne sais quoi to ensure a unique and memorable experience for your guests? Our Party Enhancements will help take your event to the next level. 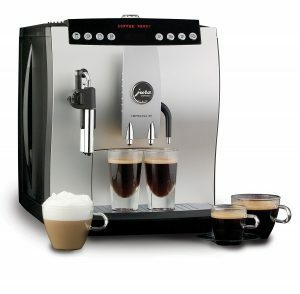 We proudly present our mobile Specialty Coffee and Espresso Bar. In addition to Hot & Chilled Coffee Drinks, we offer Top-Quality Teas, Hot Chocolate, and our delicious and refreshing Italian Creme’ Sodas. with our wonderful Italian Dessert Bar. Indulge in this assortment of pastries, including: Biscotti, Macaroons, Pizzels, Cannolis, and Chocolates. Any event exceeding two hours of service will be charged an additional 100.00 per hour. Special considerations will be made for smaller parties, and all day events. Our Smoothie Bar is Fresh, Fun, and Cool! We take the creamiest Vanilla Yogurt and perfectly blend it with your desired selection of Fresh Melons, Berries, and assorted Fruits. 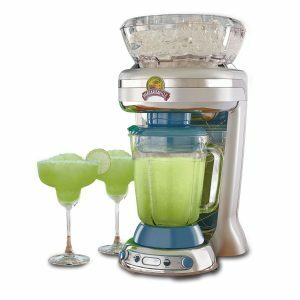 This Enhancement is also a wonderful accompaniment for a mixing bar, to create amazing Daiquiris and Margaritas. Pricing is dependent upon the selection of desired drink options for the Smoothie Bar menu. Please Contact Us to discuss the unique options available for your event. Our Strawberry Trees stand in a class all their own. Carefully hand made, we use the finest Strawberries available and coat them in a shell of decadent Dark Chocolate. Perfect for Weddings, or any black tie affair. 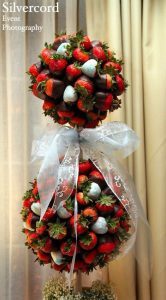 A Strawberry Tree makes a wonderful addition to an opening Hors d’oeuvre selection, or as an accompaniment to a slice of Wedding Cake for dessert. No matter how you decide to incorporate this breathtaking Enhancement into your event, it will definitely bestow yet another memory from this evening that your guests wont soon forget. Please, take the oppertunity to review some of the photos we have available for you, and just know… Strawberry Trees are even more impressive in pairs! The age old dilemma between gifting a fruit basket or a bouqette of flowers has finally been resolved, by the introduction of our Delightful and Delicious Edible Fruit Trees and Arrangements. Our Edible Fruit Trees are our most popular option. Whimsicle shapes cut from a variety of prefectly ripe and juicey melons, arranged on a topiary tree and accented with fresh berries. These Fruit Trees provide a unique center piece, that is a joy to snack from. We can create any type of Edible Fruit Arrangement that your heart desires. A bouqette of fruit flowers, a holiday wreathe, or perhaps you have something else in mind? We are confident that we can satisfy any creative request you may have. Pricing for custom arrangements is determined on a case by case basis. Almost everyone really likes Cotton Candy, the rest of us LOVE it! 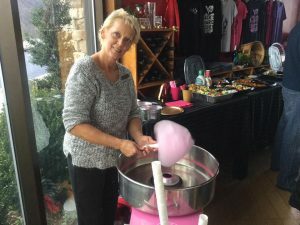 Since it’s invention by the suspicious collaboration of a dentist and a confectioner in 1987, Cotton Candy has been a special treat unlike any other. Yet, it seems we rarely have the oppertunity to get our hands on our favorite flavors of freshly spun sugar. Well, now when you select A Matter of Taste to cater your event, you have the option to surprise your beloved guests with such a sweet opportunity. Our attendant operates the machine, personally twirling this carnival classic for each request. Always a hit, Cotton Candy is a wonderful addition for summertime celebrations and Outdoor BBQs. Includes: cotton candy machine, attendant, and product. Reminisce with friends over the hot and buttery flavors from our vintage Pop corn Concession Cart. Hot, buttery, portable, delicious and easy to share with friends. 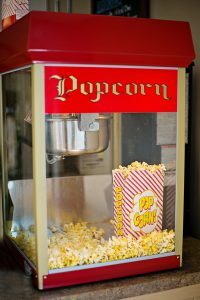 The vintage stylings of our Popcorn Concession Cart will add a unique romance to the atmosphere of your event. Fill the air with that sweet and buttery fragrance of freshly popped popcorn and capture the nostalgia of simpler days gone by. Our Popcorn Concession Cart will be setup in a convenient location and operated by one of our attendants. The stand will maintain a fresh supply of popcorn to be buttered and served in classic red and white paper popcorn bags to your guests. This is a great party snack for kids of all ages, and is guaranteed to have everyone coming back for me. Includes: popcorn concession cart, attendant, and product. For those special occasions in need of a unique and befitting centerpiece, we are proud to provide a selection of spectacular Ice Sculptures. 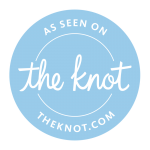 A wonderful addition for both Wedding Receptions and Anniversaries. Our Ice Sculptures are delivered and presented on our custom under lit stand, illuminating your frozen work of art from the bottom up and the inside out. Ice Sculptures are delivered and displayed using our custom underlit sculpture platform. Because of the materials and time required to produce an Ice Sculpture, it is important to request and finalize this service far in advance of your event. It is our intention to avoid situations inwhich we are unable to meet requests due to time constraints, as well as those involving complications that result in changing the services requested on short notice. Side Course Selections for Main Entrées! The per person pricing for most Main Entrées include the selection of 1 Side Course. If you would like to have an additional Side Course option, there is a minimum increase of $2.50 per person. Soup…What did you have in mind? The per person pricing for most Main Entrées include the selection of 1 Salad Course. If you would like to have an additional Salad Course option, there is a minimum increase of $1.50 per person. This is a pre-plated presentation salad, served to your guests. Dressed with Balsamic Vinaigrette, Red Onion, Spiced Walnuts and Blue Cheese. This is a pre-plated presentation salad, served to your guests. Dressed with Peach Raspberry Vinaigrette, Red Onion, Fresh Peaches, and Pine nuts.